BRING YOUR OFFER!! Motivated Seller. Offering $3000 budget/credit towards exterior repaint of your color choice. 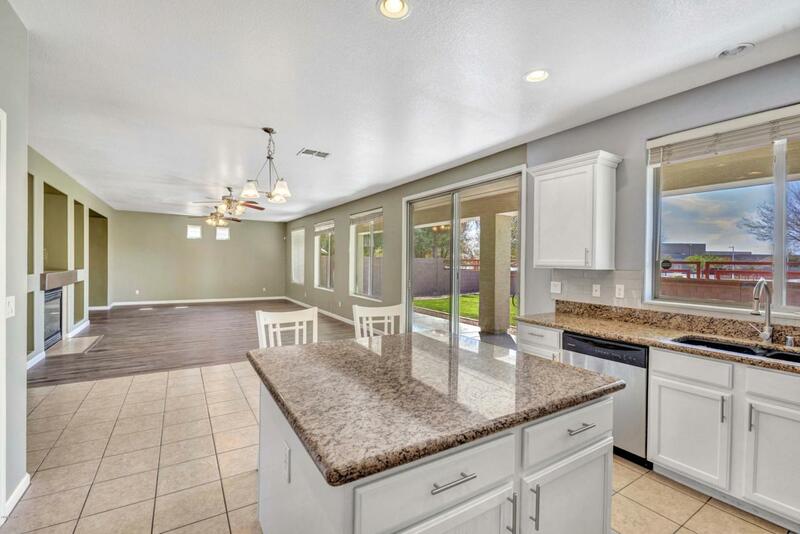 Beautifully remodeled and like new home located in the highly desired Cortina Community in Queen Creek, AZ. 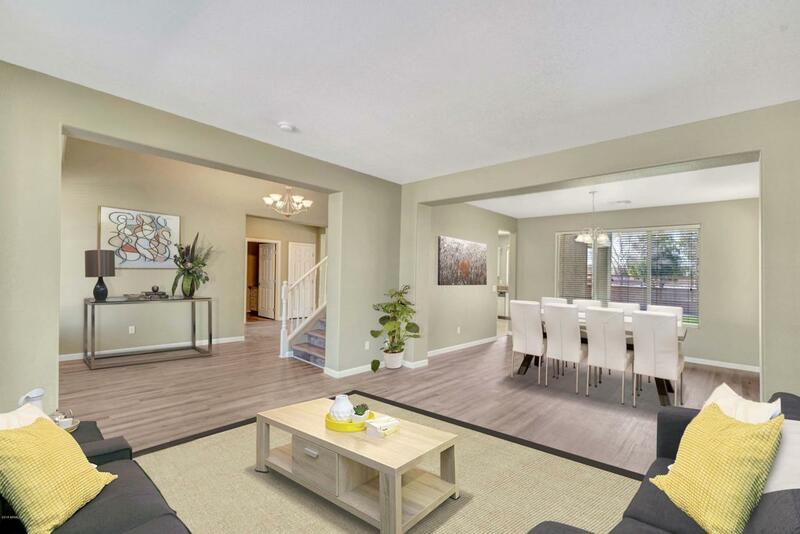 This home features high vaulted ceilings with all new DuraLux Rigid Stone wood flooring throughout. 4 bedrooms, 2.5 bathrooms, loft/library, separate office, large family room, and spacious formal living and dining room . 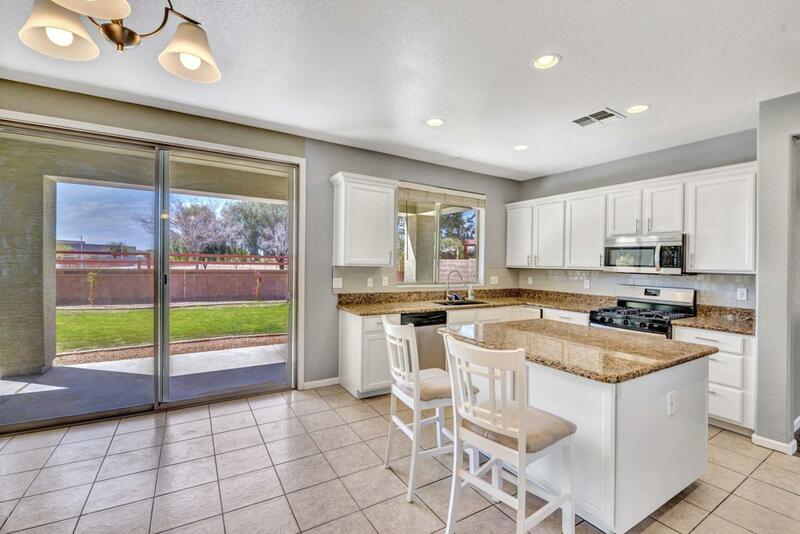 Kitchen boasts updated cabinets, stainless steel appliances, and granite counters. 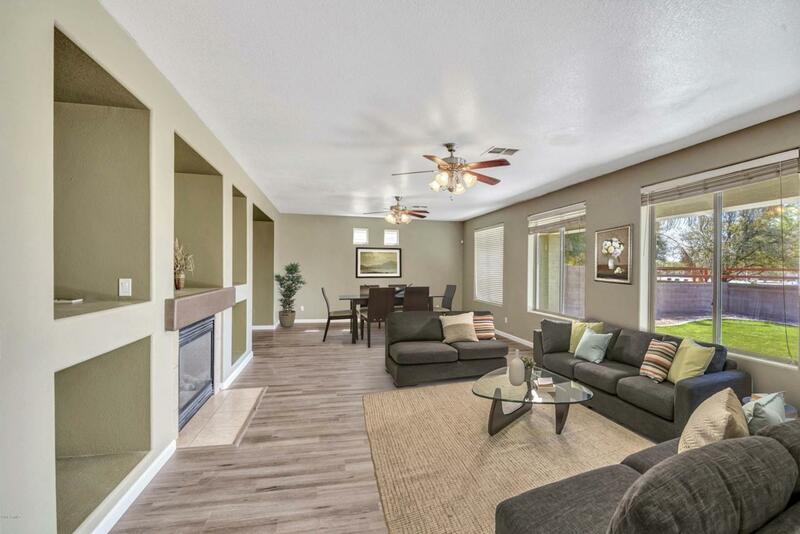 Second story master suite has updated cabinets, large walk in closest and spacious bedroom. Three additional spacious bedrooms located upstairs. All new interior and exterior paint, new brushed nickel hardware, new lighting, and new large backyard.